Experian Consumer Services-Affinity, the unit of Experian that provides credit monitoring and identity protection products as co-branding opportunities to businesses, and Univision Communications Inc., the leading media company serving Hispanic America, announced the launch of a Spanish-language, credit-focused product and online financial resource center for the U.S. Hispanic community. Each organization has contributed its respective expertise creating Credito y Mas, a customized and culturally-relevant product to serve the approximately 55 million Hispanics in the U.S.[i] who are driving growth in the financial services sector. A 2012 Experian Simmons study, “Consumer Payments in the U.S.: The Latino Market,” shows Hispanic credit cardholders increasing more than 20 percent and the number of Hispanics with debit/ATM cards more than doubling compared to non-Hispanics. 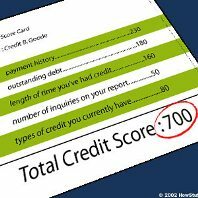 A 2013 study found that 82 percent of Hispanics believe that staying informed on one’s credit history is important. Experian and Univision Communications Inc. began their collaboration in 2013 to provide valuable credit and financial education and services to the U.S. Hispanic community. This association joins two leading companies in their respective industries. Experian is the leading global information services company that helps individuals to check their credit report and credit score, and protect against identity theft, while Univision is the leading media company serving Hispanic America. Each organization brings its expertise to provide the Hispanic consumer with Credito y Mas, a Spanish-language, credit-focused service and online financial resource center to help the Hispanic community become more knowledgeable and empowered regarding their credit and financial future.